Delta Tau Delta brother Jim Vanderbleek (University of Florida, 1981) spent much of the 1980s and 1990s focusing on building his career. In the 2000s, Jim’s focus shifted as he started to contemplate what was most important in life. It was then that he discovered the importance of giving back to the Fraternity, and in return, the Fraternity was there to support him through some difficult life changes. 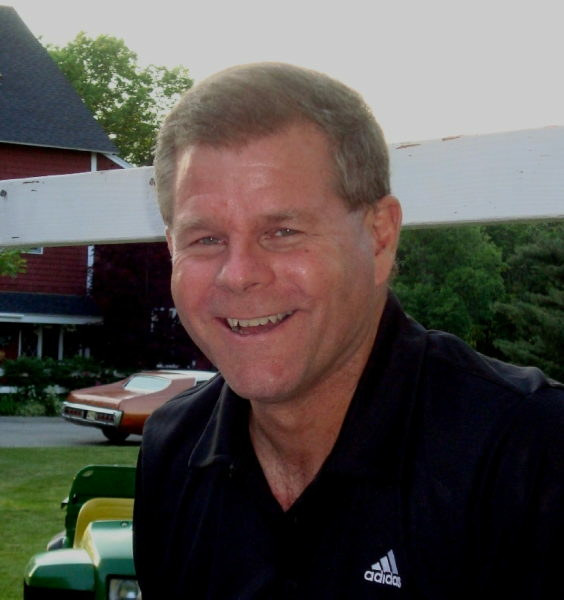 After graduating from the University of Florida in 1981, Jim took a job in the sporting goods industry. For many years, he focused on work and his career advanced quickly. Jim worked 18 years at Champs Sports and then moved on to become the vice-president of Sports Authority. In this time of advancement, Jim found himself gradually removed from involvement in the Fraternity. That would change with a visit to his alma mater in 2008. Jim visited the Delta Tau Delta shelter and found it in serious need of repair. He reached out to the chapter president to see how he could help. This led to Jim bringing his tools and groups of volunteers to fix up the shelter, an action that was greatly appreciated by the undergraduates. The chapter advisor said that the repairs were a turning point for the chapter because the members began to take pride in their shelter again. For the following seven years, Jim returned periodically to check on the work and make any needed repairs. As the shelter improved, membership began to grow. Sadly, a personal tragedy changed Jim’s life in 2015 when his wife was struck and killed in an auto accident. Jim says that being able to help others during this difficult time was what helped him get through. In this time of extreme sadness, Jim found hope through giving back to the Fraternity. In April of 2015, Jim received a letter from Delta Tau Delta stating that the Fraternity was looking for volunteers to help bring the Fraternity back to the University of South Florida campus. Jim took on the role of chapter advisor for the Epsilon Pi Crescent Colony there and has greatly enjoyed getting to see the colony grow. The new chapter will be installed on April 22, and Jim has said he feels blessed to be a part of the process. In addition to giving back through the Fraternity, Jim works to honor veterans in his area through the Fallen Floridians Tribute. This tribute has made a cross for every soldier who has died in Iraq since 2001. This tribute has traveled around the state, and seeks to bring honor to those who have given their lives for our freedoms. What advice does Jim have for current brothers and young alumni? He encourages brothers to remember that you will spend about seven percent of your life as an undergraduate and about 93 percent as an alumnus. “Get involved, maintain those connections, and make the most of your experience,” he said. Jim Vanderbleek has realized that the relationships we build are more important than the assets we accumulate, and he’s living that out through service. If you’re looking for a way to give back, consider investing in young men through service and support of Delta Tau Delta. Your contributions could change a life.